The end of the year push to try and sell vehicles using a $7,500 Federal tax credit as a bargaining chip appears to be falling flat on its face for Tesla. A new report by electrek published on New Year’s Eve says that Tesla still has over 3,300 Model 3 vehicles in its U.S. inventory, which sent the stock sliding lower by about 2% in morning trading. The inventory is despite Elon Musk pumping that deliveries were available on Twitter – and the company even trying to get its own employees to purchase a vehicle in order to move inventory. At one point, Musk even told Tesla employees that they could apply their accrued time off toward the purchase of a vehicle. The Federal tax incentive dropping to $3,750 at the beginning of 2019 was supposed to be a huge end-of-year demand driver for the company, who reportedly had the goal of liquidating every car it had in inventory in the United States as it closes out a crucial fourth quarter. Now, not only does it look like this isn't going to happen, but according to the electrek report, Tesla actually “managed to build some inventory" instead. The consensus from Tesla supporters was that the phaseout of the tax credit would easily push the company past its goal for the quarter. Despite the fact that 3,300 vehicles isn’t a significant sum of inventory, the notion that inventory is reportedly building, instead of being drawn upon, may be a red flag. 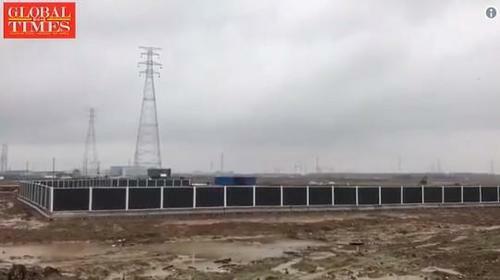 This, again, comes on top of recent news that Tesla is now has offered to shell out cash for those who have who will miss the full tax credit benefit due to delivery problems – and that Tesla had again lowered its prices in China, where work on its new Gigafactory 3 appears to be on hold. Which raises a good question: where is that $35,000 Model 3 anyway?